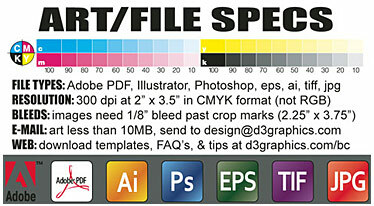 Press Quality, Acrobat 4 (PDF 1.3), and uncheck "compress text & line art"
Color Mode: CMYK (not rgb). Convert Pantone Spot colors to CMYK. Blue vs. Purple: Greater than 30% difference between Cyan and Magenta values to achieve a blue color.